When operating a business in Nassau or Suffolk County, New York, there are many important things to keep in mind; search engine rankings being one of them. Statistics show that most potential customers do not sift through every page of search engine results. In fact, by page 3, most users have stopped searching entirely. Thus, keywords are extremely important to your business’s longevity. Keeping track of your keywords that are pertinent to your business or practice is an easy way to measure the success of your digital marketing strategies. SEO, search engine optimization, is a fast-evolving topic that businesses are continuing to push towards. Keeping up with things such as the increase and decrease of followers, likes, and shares can only show you so much about how well your website is doing, but organic search rankings via specific keywords can be used to show so much more. 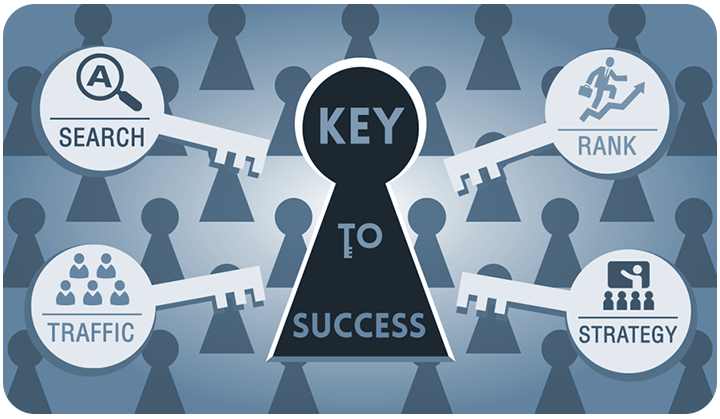 It is important that keyword tracking is done correctly in order for it to be effective. If keyword tracking is done right, it can be integral to your website’s success. Tracking these words at specific intervals will help you gain a larger picture as to your where your company is at in relation to the competition. If you are falling short on specific keywords, doing something about is crucial. Understanding what your target demographic would be searching for is critical to selecting the correct keywords. Whether it’s location based or interest based, search engine optimization is only made possible via fresh, original, and keyword rich content posted on your website. Also watching current trends can also be beneficial in guiding your digital marketing strategy. Adding new keywords to your monitoring regimen will help you stay on track to optimizing your search rankings. By being aware of your website’s rankings in a certain time period such as biweekly or monthly, you can match the successful keyword usage to changes in strategy in order to make sure your website has the widest amount of visibility. For many businesses or practices, search engine keywords and search engine optimization are intimidating. Whether you live in Suffolk or Nassau County in New York or elsewhere, Prescription PR has the industry experience to provide you and your practice, optimal web visibility. Although there is not a one-size fit all approach, our various strategies will help utilize the digital tools we have in today’s world to help grow your practice or business.